I started to notice the plants a few years ago when I began my research on exhibition photography. 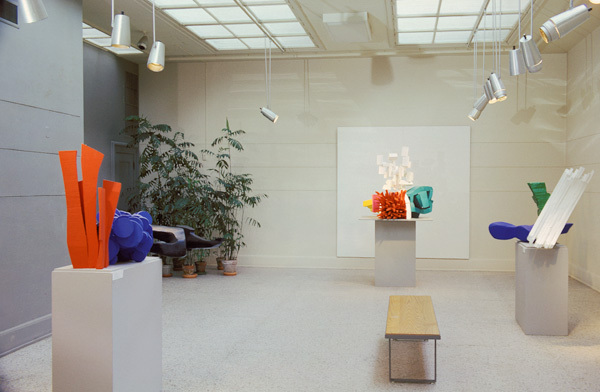 I was looking at old photographs of gallery installations, and frequently I noticed, in the margins of images, potted plants in the galleries alongside artworks. They fascinated me as a design element — as common, and seemingly unnoticeable, as the walls themselves. I observed them in exhibitions at all kinds of institutions, from historic museums of religious antiquities to the Museum of Modern Art. 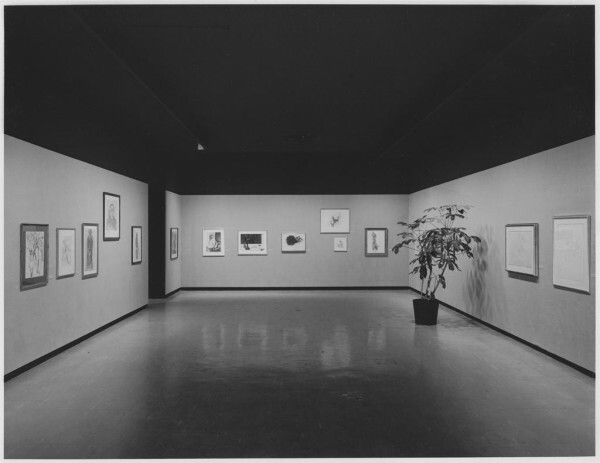 I wondered about the role they played in these spaces of exhibition — what their relation to works of art and forms of spectatorship might have been — and puzzled over their absence in the galleries of today. The museum’s defoliation happened later than one might guess. The infamous “white cube,” first articulated in the early years of MoMA, would regularly incorporate a plant (or three) into its cool geometry during its first few decades. 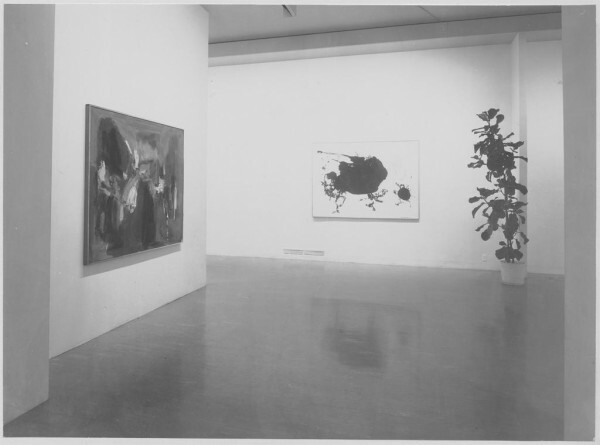 Modern art museums only began to exile greenery in the late 1960s; by the mid-1980s it was as if they’d never been there. There are likely a number of reasons for this banishment: there’s obvious risk to housing organic matter so close to precious works of art, which tend to be susceptible to damage by moisture and insects. And as the market prices for artworks entered a boom, museums became more guarded about the condition of their objects. Meanwhile temperature and atmospheric controls were perfected and the art museum became an ever more controlled environment. Perhaps paradoxically, in the very moment of plants’ eviction, artists began to incorporate living matter into their work. 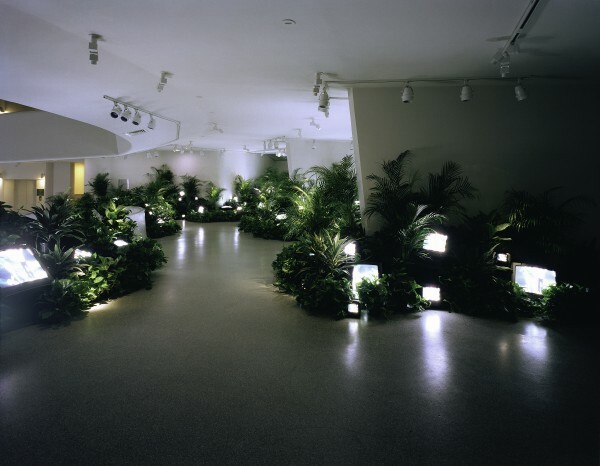 Hans Haacke grew grass on a mound of dirt (Grass Grows, 1967); Hélio Oiticica mounted a stereotypical “tropical” environment with requisite verdant palms (Tropicália, 1967); Jan Dibbets produced grass piles and grass rolls; and Nam June Paik set flickering television screens amongst an exuberant jungle of living plants (TV Garden, 1974). One might assume such practices aimed to renounce the antisepsis of the modern museum by summoning up an organic nature it had long repressed. But photography proves that vegetation had only just left the building. Why is it that plants, once so unremarkable, might now be seen as too risky, or too embarrassing? Why is the agency of the organic accorded only to artists? Extreme efforts are made (in certain cases) to “make green” a building’s internal structure and architecture (through LEED certification, etc. ), yet this abstract “green-ness” is counterbalanced by a taboo against actual green things in display space — why? And so I propose the return of plants to their former humble spot in the corner, miming the cosmic splat of Hans Hofmann or peeping out from behind Guernica. After all, ficus trees deserve to be part of culture, just as much as the rest of us. Arden Sherman is a curator and writer. She runs the online exhibition project Mise en green. Find grupa o.k. on Tumblr, and read other proposals here. Thanks Jan. we’ll ask Mercer Union if they have any images of this show. “The hanging of Guernica was incredibly controversial in San Francisco. 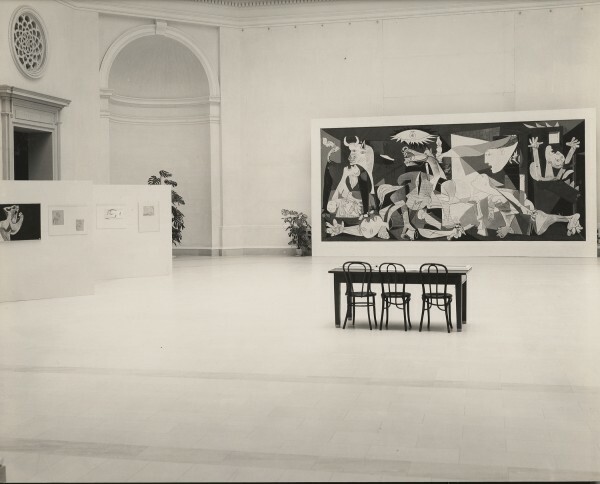 The director of the city’s Legion of Honor museum (which focused on showcasing European art from the Middle Ages through the early 1900s) wrote letters to the San Francisco Chronicle calling the showing of Guernica “unpatriotic,” especially in a port city with so many military bases. INCREDIBLE! I would love to see the Garry Kennedy exhibit as well, please post if you find images. I am all for Keepin’ the green in Art galleries. Nice write up. Thank you Rudolf, I will post to the Tumblr this week! Yes, that Walker blog post has been a big part of my research and became a staple in the beginning of Mise en green! Thank you for sharing! I’ve posted a lot of the archival Walker images on my blog.